Grove Park Inn Elevators Mini Clip with Epic Fail on The Editing Video Clip. On The Way Back Home From Roanoke, VA. Not From This Year Though. 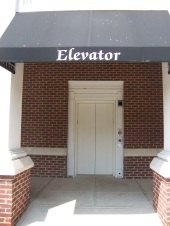 Savaria Concord Wheelchair Lift at Sheraton Hotel in Roanoke, VA with two Operators. A Slow "Man Powered Elevator"&A Otis Service Elevator plus a Bonus ending with Diesel Ducy. Ronnie Bear has an English Accent? Diesel Ducy Parking His Cute Little Bike in His Garage. Otis Elevator at my school. Schindler Elevator at my school. Holiday Inn in Charlotte, NC. Dover Elevators. This is what I call an "epic failure". A completely non functional schindler elevator.